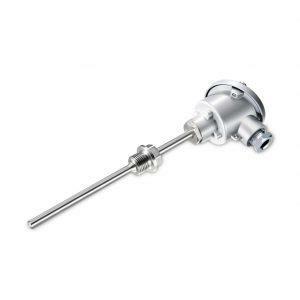 Screw-In Sensor with Neck Tube ANDHTFB3/MU active sensor features an interchangeable measuring unit and has an application temperature of -50°C … +600°C. The sensor is used to record an accurate measurement of the perceived temperature. The ANDHTFB3/MU is directly connected to the pipe to be measured with the help of a stainless steel sleeve and a G1/2″ thread. The neckpiece allows for better heat dissipation. The sensor is equipped with a standardized 0…10 V or 4…20mA output and can be connected to any PLC or DDC. 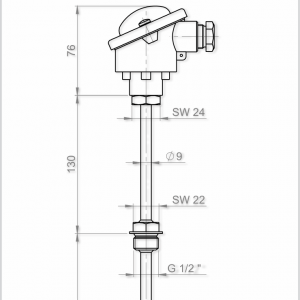 Passive Screw-In Sensor with Neck Tube ANDHTFB3.